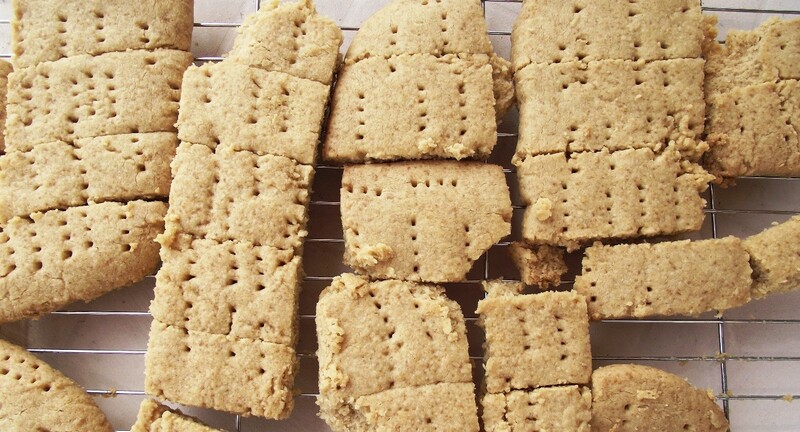 Take 100 grams of Bud (or trim) and 500 grams of Butter. 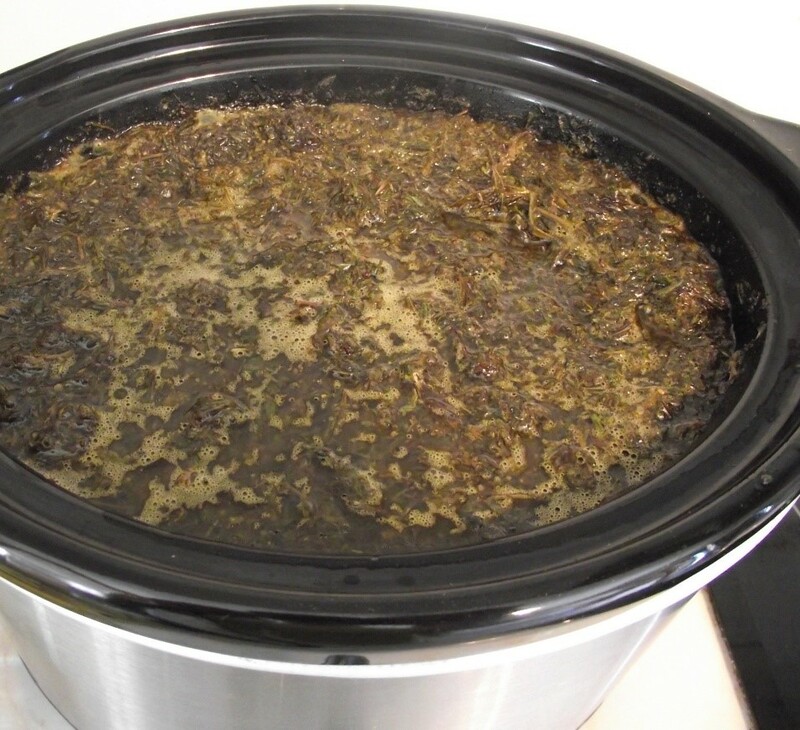 Decarboxylate (heat gently in the oven, do not exceed 110C), when dry, break up the plant material and place in a slow cooker with the butter. 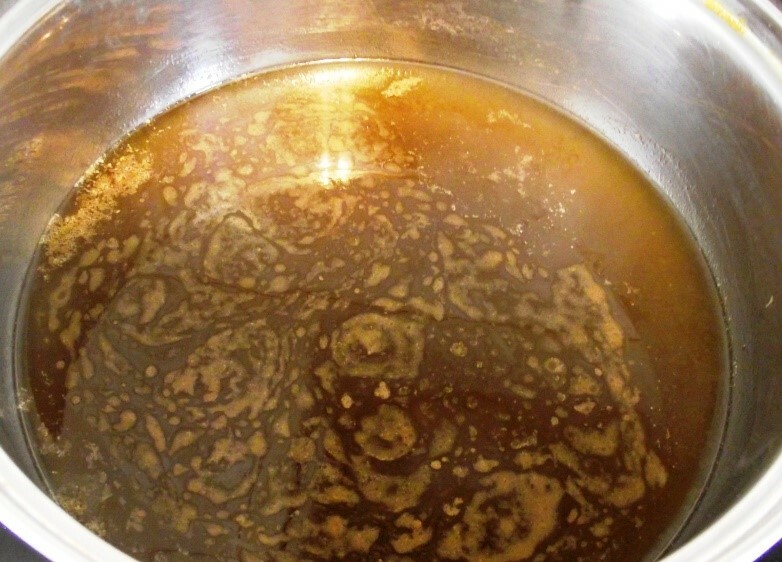 Add 1 to 2 litres of hot water to the butter and dry plant material, the addition of the water helps to keep the temperature down and the additional volume allows for more plant material to be added.As cannabinoids are soluble in butter and not in water, the cannabinoids are extracted into the butter. Let the mix simmer on a low heat for 4 to 6 hours, stirring every 30 minutes or so. When you are satisfied that the majority of the cannabinoids have been extracted, turn off the heat and allow to cool. 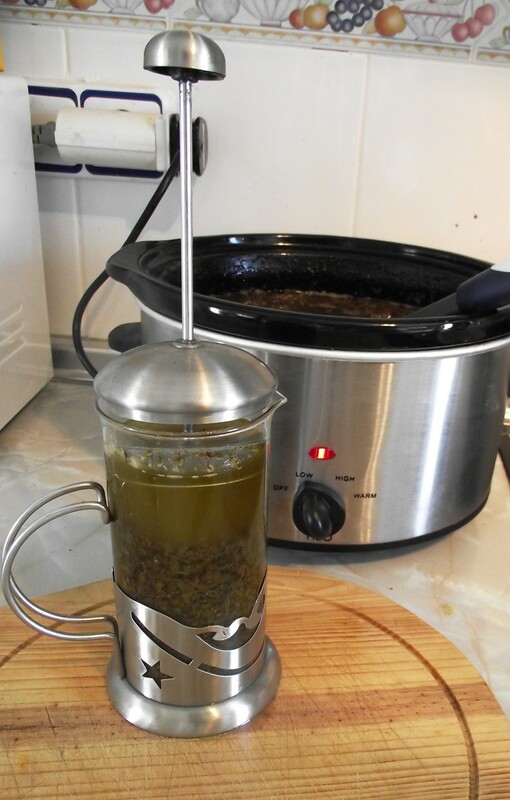 A cafetiere is the easiest way to filter out the unwanted plant material. 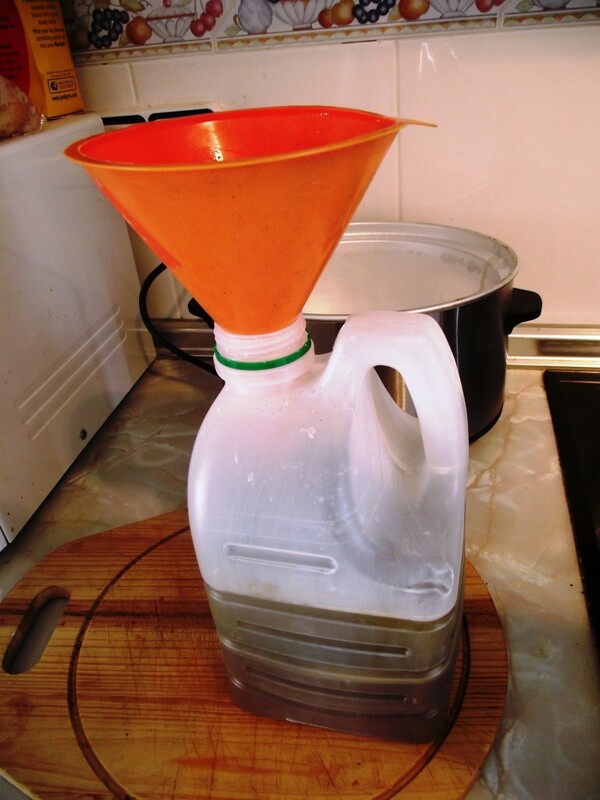 After filtering the oil and butter mix through the cafetiere – pour into an empty plastic container. 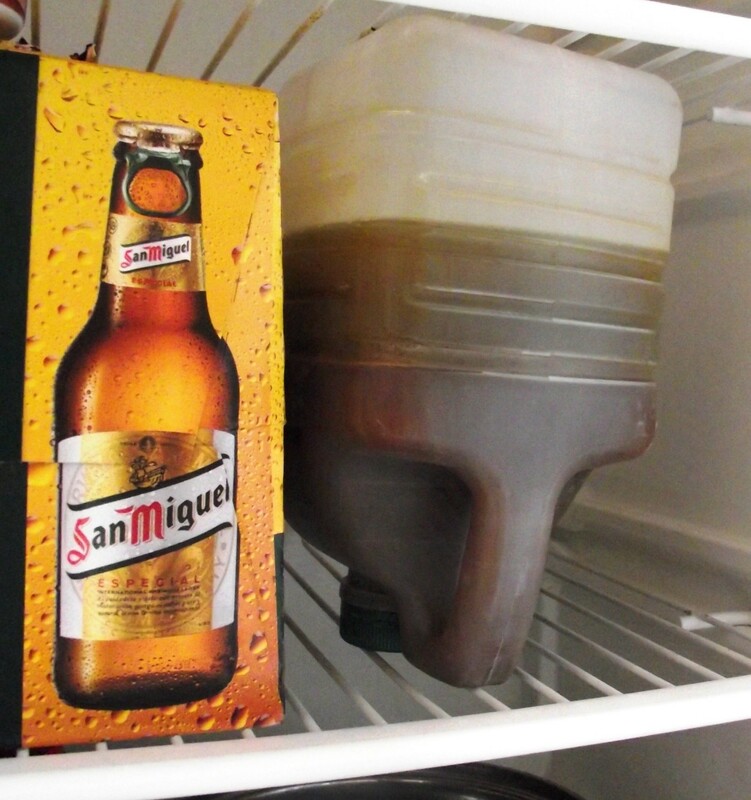 Carefully position the container upside down in the refrigerator (the case of beer is optional). After a few hours the butter will rise to the surface and solidify, hold the container over a sink and carefully remove the container screw cap, allow the water to drain away. Very carefully, cut the plastic container open to expose the cannabis butter. To clarify the butter and make ghee, reheat the frozen mixture and spoon off any scum that rises to the surface. 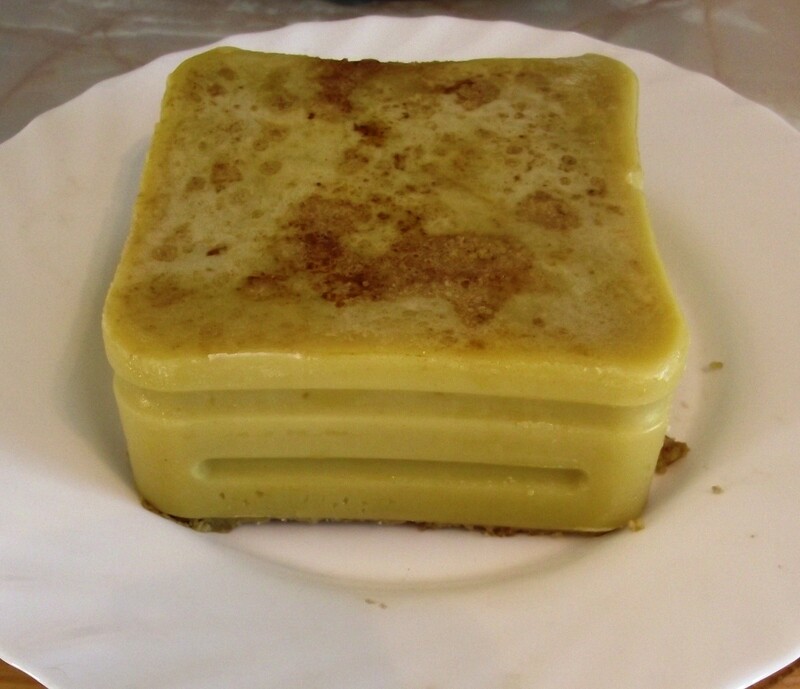 Clarified cannabis butter makes great edibles and medibles. 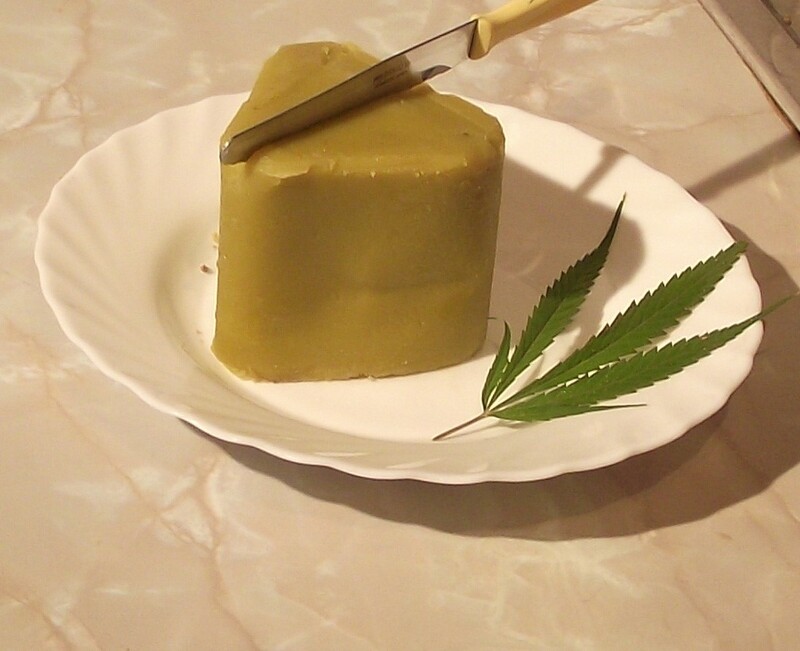 Cannabis butter can be used to make a wide range of delicious cakes, cookies and much, much more.